Brandon Webb's experiences in the world's most elite sniper corps are the stuff of legend. 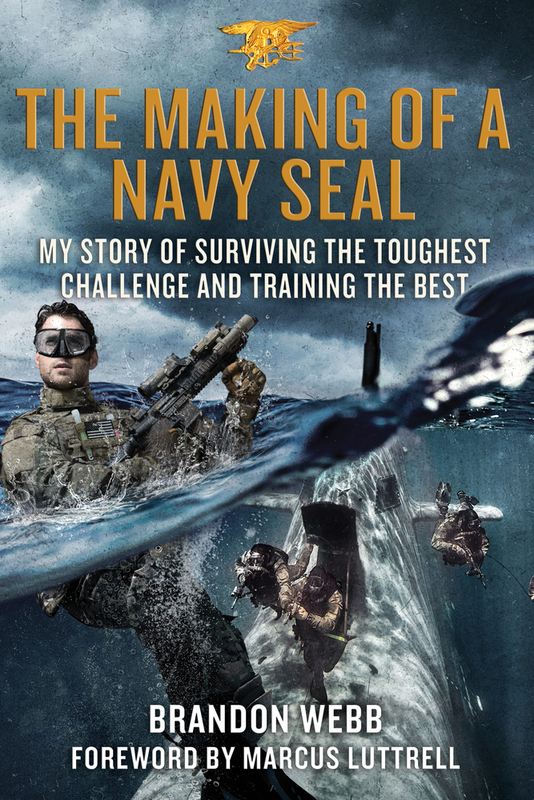 From his grueling years of training in Naval Special Operations to his combat tours in the Persian Gulf and Afghanistan, The Making of a Navy SEAL provides a rare and riveting look at the inner workings of the U.S. military through the eyes of a covert operations specialist. Yet it is Webb's distinguished second career as a lead instructor for the shadowy "sniper cell" and Course Manager of the Navy SEAL Sniper Program that trained some of America's finest and deadliest warriors-including Marcus Luttrell and Chris Kyle-that makes his story so compelling. Luttrell credits Webb's training with his own survival during the ill-fated 2005 Operation Redwing in Afghanistan. Kyle went on to become the U.S. military's top marksman, with more than 150 confirmed kills. A few weeks past my sixteenth birthday, my dad threw me off a boat in the middle of the Pacific Ocean. I had to find my own way after that. 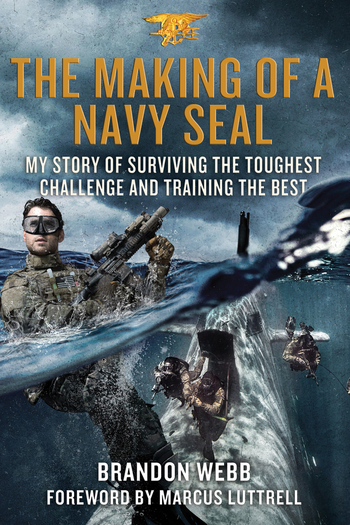 “What you’re about to read is not just the making of a Navy SEAL sniper, but the story of one guy who went on to help shape the lives of hundreds of elite special forces warriors. Brandon has a great story to tell, and it is living proof that you can achieve anything you put your mind to. Brandon Webb is a former U.S. Navy SEAL; his last assignment with the SEALs was Course Manager for the elite SEAL Sniper Course, where he was instrumental in developing new curricula that trained some of the most accomplished snipers of the twenty-first century. Webb has received numerous distinguished service awards, including the Presidential Unit Citation and the Navy Commendation Medal with a "V" for "Valor," for his platoon's deployment to Afghanistan following the September 11 attacks. He is editor for Military.com's blog Kit Up, SOFREP's Editor in Chief, and a frequent national media commentator on snipers and related Special Operations Forces military issues. John David Mann, who collaborated with Webb in writing The Red Circle, is an award-winning author whose titles include the New York Times bestseller Flash Foresight and the international bestseller The Go-Giver.